The School Days Fairies are the 22nd series and represent the aspects of school subjects. School days should be the best days of your life. That's why the School Days Fairies are here! They make sure all your favourite subjects are loads of fun to learn. There's just one misery-guts who wants to ruin the fun: Jack Frost. What a silly dunce. Will he manage to sabotage all the best lessons? Not if we have anything to do with it. 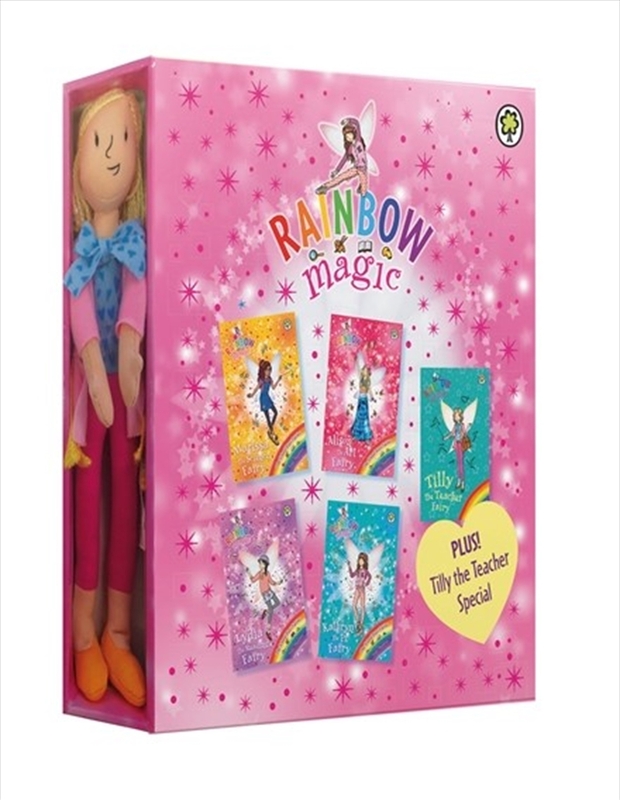 The Rainbow Magic School Days Fairy Slipcase includes Tilly the Teacher Fairy; Lydia the Reading Fairy; Marissa the Science Fairy and Kathryn the PE Fairy; Alison the Art Fairy, plus Rainbow Magic doll.